The new G-Cloud Ten Network is now live and i3MEDIA is thrilled to confirm that we have been reaccepted for addition to the government-approved list of suppliers for offering cloud-based digital services to public sector organisations. Public sector organisations are able to find us via the Digital Marketplace alongside information regarding the types of cloud-based services we can offer. The UK Government G-Cloud initiative, alongside the renamed “Digital Marketplace” store (previously the CloudStore), enables public sector organisations to use any of the available services without needing to fulfil a complete tender process. The initiative was first announced in 2012 after cloud computing began making great waves in the industry and organisations immediately put in their call for contracts. After the government adoption of the “Cloud-First” policy in May 2013, the scheme only continued to grow, with over 1,200 organisations taking up contracts from the available services in November of the same year. What is the Benefit of G-Cloud? G-Cloud enables public sector organisations to obtain services through the G-Cloud Ten Network without carrying out the full tender process. 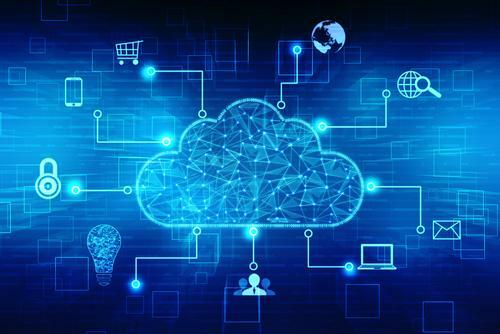 Not only does this save these organisations time, but the cloud computing services offered through the Digital Marketplace are more cost-effective and the frameworks are much faster than those available via individual procurement contracts. The procurement process itself is also made easier for public sector business with access to the pre-approved suppliers available through the G-Cloud Ten Network. This removes much of the risk affiliated with seeking out digital services as the suppliers selected are deemed trustworthy by the UK government. With data protection and the negative use of data currently all over news networks, particularly following the recent Facebook/Cambridge Analytica data scandal, public sector businesses would be forgiven for feeling apprehensive about allowing access to their sensitive files. At i3MEDIA, we have years of experience offering a wide range of digital services to public sector organisations including hospitals, councils and schools. As a reapproved supplier on the G-Cloud Ten Network, we have been proven to handle your data in a trusting, sensitive manner. This gives you peace of mind against poor data handling and provides you with strong reassurance that your sensitive files will be taken care of and protected against potential prying eyes and data resellers. We are proud suppliers to several important public sector organisations and have received excellent feedback for our past services. Not only do we understand the importance of working with a company you can trust, but we will endeavour to go above and beyond your expectations. Don’t just put your trust and sensitive customer or patient data in the hands of any digital service provider, come to G-Cloud approved i3MEDIA with a trusted track record of providing the highest quality customer service. If you are a public sector organisation and would like further information on seeking services via the G-Cloud Network, please get in touch via our online contact form. We look forward to working with you.